Even though we’re experienced Pacific travelers, and many of you are too, we can occasionally get caught in uncomfortable airline arrangements. Oh boy, do we have stories. 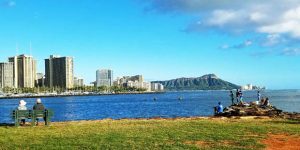 Here are 7 airline travel tips for making the most of your flights to and from Hawaii. Please add your best suggestions too on how to reduce flight stress and discomfort. Then check back later this week for upcoming Hawaii deals that we are scouting for you. #1 Avoid Cramped Quarters: You walk on board and see that some coach seats have more leg room than others. Meanwhile you’re stuck with limited space. Try this: Check out Seat Guru or Seat Expert in advance so you know what to look for. 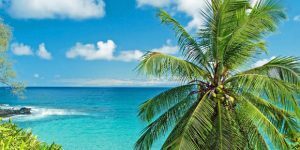 Most airlines now let you upgrade to exit row, bulkhead or other preferential seating for an additional fee starting inter-island for example, as low as $10. Mainland flights cost more, depending on distance, and can be up to $100 or more. On two recent flights, we were able to get an exit row at the front that had more leg room and on the other flight, 2 seats across instead of 3. 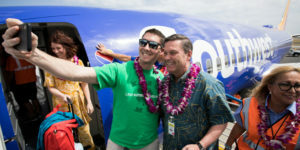 #2 Looking Cool on Arrival: You want to wear warm clothes at 30,000 feet but look and feel local getting off the plane in Hawaii. Try this: Wear convertible pants. Once you land in Hawaii, you can zip off the legs at the knee. Instant shorts! We’ve found them online and at sporting goods stores. A favorite brand for travel clothes remains E x Officio. #3 Avoiding Jet Lag: Start the time change on board to get your Hawaii vacation off to a good start. Try this: When you board the plane, adjust your watch to Hawaii Time. If they ask you to lower your window shade during flight, leave it open at least a crack. It’s important for your body to see the light or darkness for a smoother time adjustment. #4 Germ Reduction: Who’s been sitting in your seat? You don’t know. The last thing you want is an illness that effects your vacation. Try this: Bring anti-bacterial wipes to clean off all surfaces before and during flight. This includes the tray and buttons on arm rest. And then there’s the restroom. #5 Sleeping: You want to sleep but it’s not easy to with the noise on board or a talkative seat mate. Try this: Pack disposable foam ear plugs and reduce the sound level by up to 33 decibels. Or an active noise cancelling headset. Bring your own airline blanket and pillow. #6 Drinking Water Plan Strategy: Unless you’re traveling first class, and depending on the airline, it can be a hassle just to get regular water service on board. Try this: If time is an issue, just buy water after passing through security. Otherwise, have each person pack an empty water bottle in their carry-on. After you’re through the screening process, your first stop is a water fountain to fill the empty bottles. #7 Two Last Tips: First, pack a small bag with lip balm for chapped lips, gum to chew on descent to relieve middle ear pressure, aspirin for a headache, and anything else that could make your flight enjoyable. Also bring a book to read or load one or more (including Hawaii travel guides) on your tablet. And lastly, we’ve mentioned these versatile travel cushions before. We swear they work – no joke. Either to sit on or to use as a back support or pillow. They don’t take up much room in carry-on, and expand to a nice size when inflated (which is easy to do). We’ve used them for years and they are still working. What are your tips for flying across the Pacific? We’d like to hear from you. I have somewhat of poor circulation on my legs. I have a routine that I use on my flight to Hawaii. I begin before boarding, I take 2 aspirin and 1 bottle of water. I then put on compression socks and comfortable slippers. I make sure that every hour, I get up and make a couple of laps around the aisles. Do some ankle rolls and stretch out your calves muscles. I make sure that I drink water every hour and every 4 to 6 hours I take 2 more aspirins. I find that it helps to.make my legs and feet are less swollen. 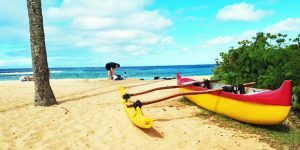 It’s a bit of work, but worth doing when your going to Hawaii! Great tips! I was concerned about the jet lag but I think I’ll deal better with it. I’m flying to Hawaii next month! 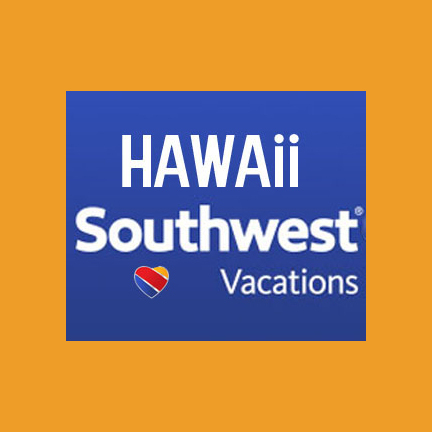 If you’re flying from the west coast and arriving in Honolulu between 10:00 and Noon, consider using another condo day’s worth of points so you can check in when you get there instead of just waiting around until 4:00pm, the regular check in time. It is worth it! I was concerned about jet lag, back in November. Rather than adjusting sleep habits I used “Timeshifter” app and adjusted my light exposure prior to leaving and it worked. I did not experience jet lag either way. I never travel on an airplane without a couple of old tennis balls stuffed into a sock to use as lumbar support or to target trigger points on my back. It seems like I never have enough time in my day to do my physical therapy but I have a few hours to,spare when flying from Oakland to Maui. When I walk off the plane, my back feels great and I feel,like my flight was productive. When traveling to Hawaii, be sure to have a pen or pencil handy to fill out the required Agriculture Department form. Pack your swimsuit and flip flops in a carry on bag. If your luggage doesn’t make it with you then you can head to the beach. Move around!! At least every hour. Walk the isles, stand and stretch where you can, etc. I know the airlines discourages this for the most part but my back thanks me for it! Noise reducing headphones are worth the cost – and you don’t need an expensive pair. Remember, they’ll get banged up with travel, if not left behind on a plane.